1. 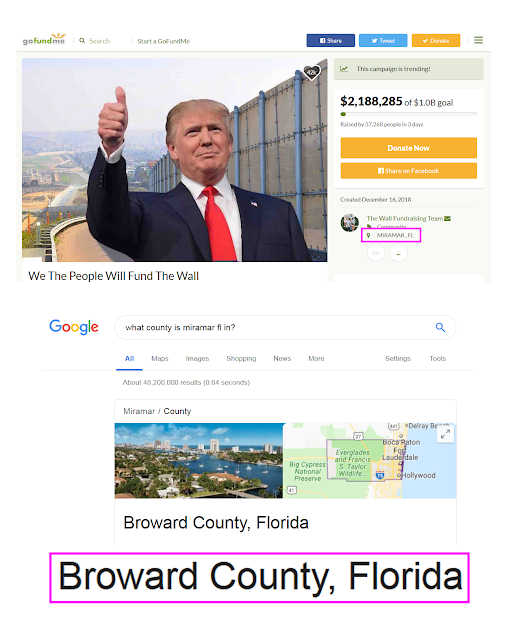 Why are people spending their private dollars on a Wall that should ALREADY be funded with our tax dollars? What's the point of paying taxes if we elected a President for the sole purpose of building a wall and we can't even get our basic electoral wishes granted? Shut down the government until it's funded. If we can give Mexico 5 BILLION for their security, we can find 5 Billion for our own security. The United States appeared to take a big step to mending fences with Mexico on Tuesday by announcing a $10.6 billion strategy for Central America and southern Mexico to curb illegal immigration, organized crime and drug trafficking. 2. Where is this fundraiser coming from? PARKLAND, Florida -- A federal judge has ruled that Broward schools and the sheriff's office were not responsible for protecting students during the shooting at Marjory Stoneman Douglas High. That liability, the judge reasoned, only works with incarcerated prisoners or others who are involuntarily committed, not schoolchildren "with the ability to take care of themselves," according to a motion filed last week by U.S. District Judge Beth Bloom. The Sun Sentinel on Tuesday reported that Bloom dismissed a suit filed by 15 unnamed students who say they suffered psychological trauma from the school shooting that killed 17 and injured another 17 in February. The lawsuit claimed the school district and the Broward Sheriff's Office, along with former school resource officer Scot Peterson and school campus monitor Andrew Medina and former BSO Captain Jan Jordan failed through action or inaction to protect the students while at school. This shut down the arguments against armed teachers really quick, didn't it? Brian Kolfage is friends with Gabby Giffords the anti-gun Representative. Kolfage believes Giffords' decision to resign is the best thing for her healing. "I know she's a really strong person. When she puts her mind to it, she'll do it. By stepping down, it's allowing her to accomplish her goals and not let anything get in her way." Kolfage was thrilled when he was asked to be her guest in Washington on Tuesday. "It's an honor — a once-in-a-lifetime thing. I'm really excited about it," he said. What are the odds this Border Wall the right has wanted for so long is in Broward County? The point is, this article shouldn't even be written if Congress actually cared about the safety and security of our children. And a brave soldier who sacrificed three limbs is fighting harder for a wall than the politicians who swore to protect us. 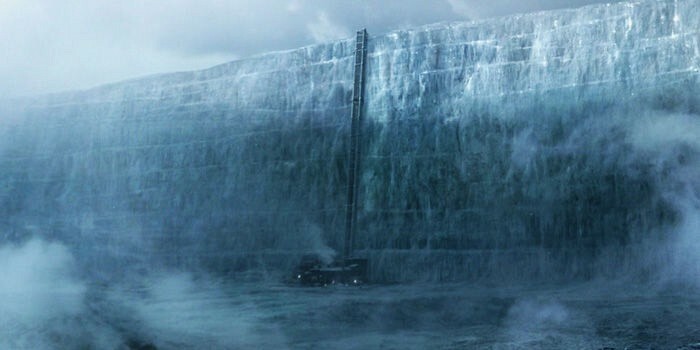 It's sad, we should already have a glorious and wonderful wall!